here is the procedure i tried to repair the gummy wheel of this machine. its not perfect but it works. many thanks to other people who helped me with this problem. remove the six screws underneath the machine that hold on the plastic cover. 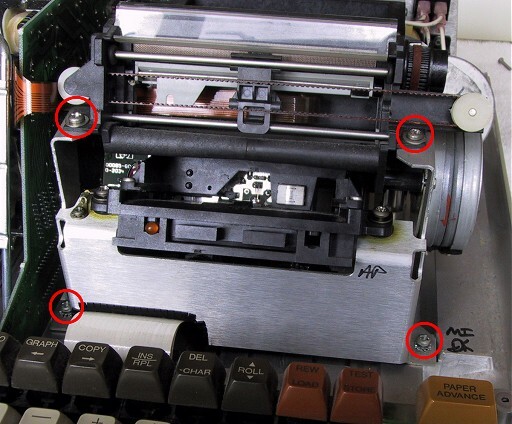 the plastic eject button for the tape drive can be pulled right off. remove this before removing the lid (its actually possible to remove the lid without removing this button, but i found it nearly impossible to put it back on). 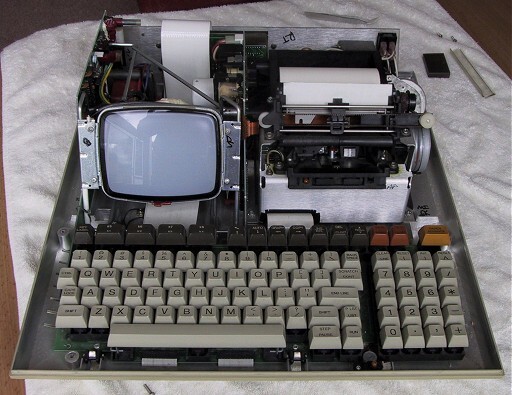 remove the four screws shown on the right. then lift out the drive and metal support. the whole lot should easily fold back as shown. its possible you might have to loosen some of the screws at the base of the printer unit, but you shouldnt need to remove these completely. 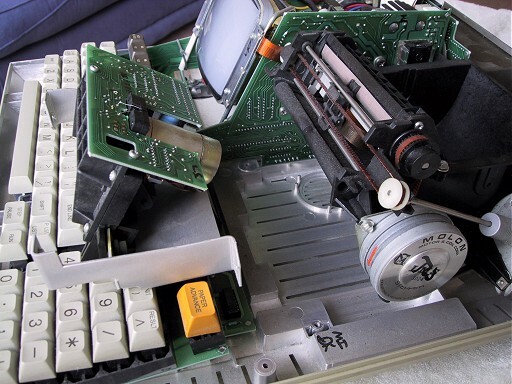 there are two plastic ribbon connectors from the keyboard circuit board into the the base of the tape drive circuit board. the tape end can be unplugged. pull gently.